My fellow west coasters and I have had one too many days of freezing our butts off here… and it’s only October. Thus, the following fashion guide has been compiled in honor of our friends who have only begun to get a taste of the bitter of New England weather. But, it’s probably the first time you’ve had to trudge up a hill in icy cold weather to get to your science class on time, no matter where you’re from. So whether you’re used to sunny rays or just driving to get to where you need to be, these tips will help you get it together for the New Haven winter. Let’s start from the bottom. Gone are the glory days of flip flops and paper-thin canvas shoes. Anything somewhat waterproof though and you are good to go, like thicker textiles, leather, or rubber. 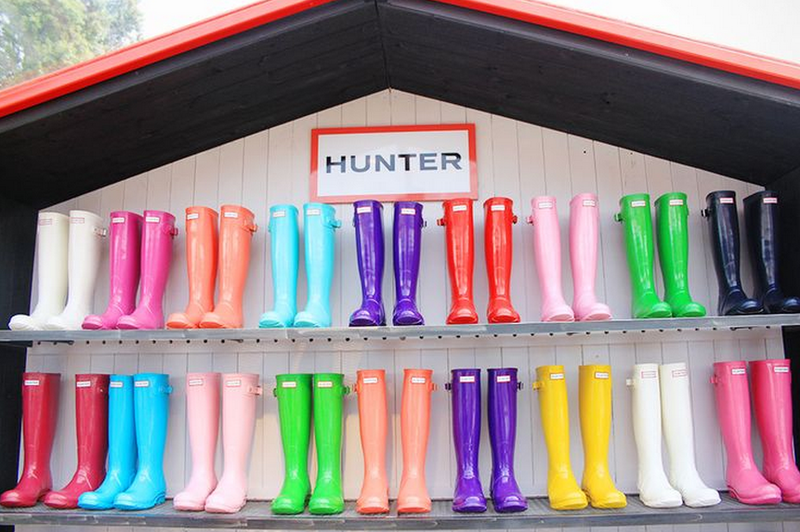 If you want to be the basic Yale student, Hunter Boots are a must. And yes, wearing socks would be most preferable. I’ve never heard of fleeced-lined leggings before Yale, but it is a true lifesaver. They just look and feel much nicer than their lesser counterpart – sweatpants. Typical bottoms obviously work too for the fall weather. Just be careful – it may be warm enough to wear a skirt or shorts during the day, but you will have wished otherwise when leaving Bass at 1:45 am (Speaking from experience here). Sadly, snapbacks aren’t as common here as I’d like them to be. Do yourself a favor, however, and get a winter hat (a thick beanie of sorts) that will be long enough to also keep your ears warm. Scarves may have simply been fashion accessories back on the west, but here they do wonders to warm your neck. Gloves were also an obsolete item back home, but your hands will get the coldest first on a chilly fall day. In a nutshell, invest in some warm accessories for the typically neglected parts of your body! Ah clothes for the torso. This is where the biggest mistakes occur. See on the west coast, many of us are used to just wearing the cheap, sweatshop-made thin “sweaters” made from the notorious Forever 21, H&M, CottonOn, and the clearance section of JCPenny’s. They look warm but actually as thin as tissue paper. Wearing one of those “sweaters” will get you nowhere for New Haven fall weather. Instead, purchase actual sweaters that are at least a few millimeters thick. And maybe carry around a jacket that also isn’t paper thin. Notice how it’s considerably more humid here? Well doesn’t that stuffiness make rainy days twice as fun. None of my peers seem to be prepared for the sporadic New Haven rainfall, so this is just friendly reminder to frequently wear a lightweight water-resistant jacket or carry a strong umbrella (that won’t flip from strong east coast winds), especially when you feel all sticky and moody from the weather. Aaaaannd good luck! The cold only gets worse from here. 13 Yale Theatre Shows You Don’t Want to Miss! “This is where the biggest mistakes occur. See on the west coast, many of us are used to just wearing the cheap, sweatshop-made thin “sweaters” made from the notorious Forever 21, H&M, CottonOn, and the clearance section of JCPenny’s.” OMG I died. This girl is the bomb.com for real!! The Boola is the alternative news site for the average busy Yalie on-the-go. We write articles and produce Buzzfeed-style quizzes and videos that relate to life in New Haven and at Yale.